"I can tell you right now and they would know, too, that if I was going to go do it, I am going to pitch against a contender, that's who I want to knock out," Clemens told Houston television station KRIV. "Why would I want to waste my time running around and getting in shape. I get over to Minute Maid (Park), I'll crank it up and get it over 90 for a contender. We'll knock them right out of the playoffs. That would be the fun. Pitching against somebody that's not in contention wouldn't be any fun for me." So, if you're playing along at home, the Astros—who have about 1,000 households watching their games on TV—are playing will they/won't they with a bloated, 50-year-old 'roid rage case. 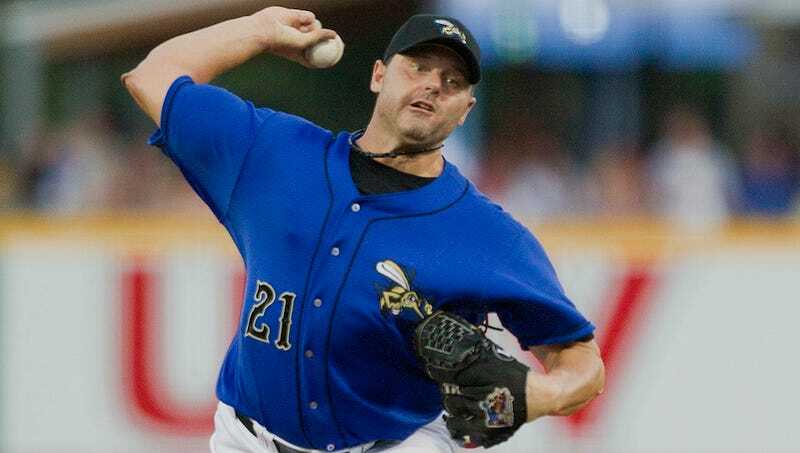 Roger Clemens loves coffee but hates Starbucks. Jim Crane loves Starbucks but only for the baked goods. Will they ever find true love? Making matters worse: this is the most exciting thing to happen to this major-league sports franchise in months. Who ever said the baseball season was boring?